Musan-1 was part of my soybean trials in 2014. It is an indeterminate that reaches 34” tall. It is heavily branched with white flowers. The pods contain 3 to 4 beans each. They were originally collected in North Korea. They have a very high nutrition content. 53% protein and 17.5% oil. These performed well for me even though it was an difficult year with all the rain and cooler than normal temperatures. 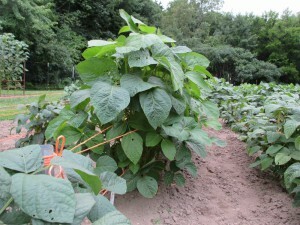 The plants were productive and the harvested beans had few blemish issues. There were a small number of underdeveloped beans, otherwise good quality. I plan to continue working with this bean in the future. Direct seed after all danger of frost has passed in mid to late May. Plant 1″ deep and 2″-6″ apart. The 2015 grow-out went well. 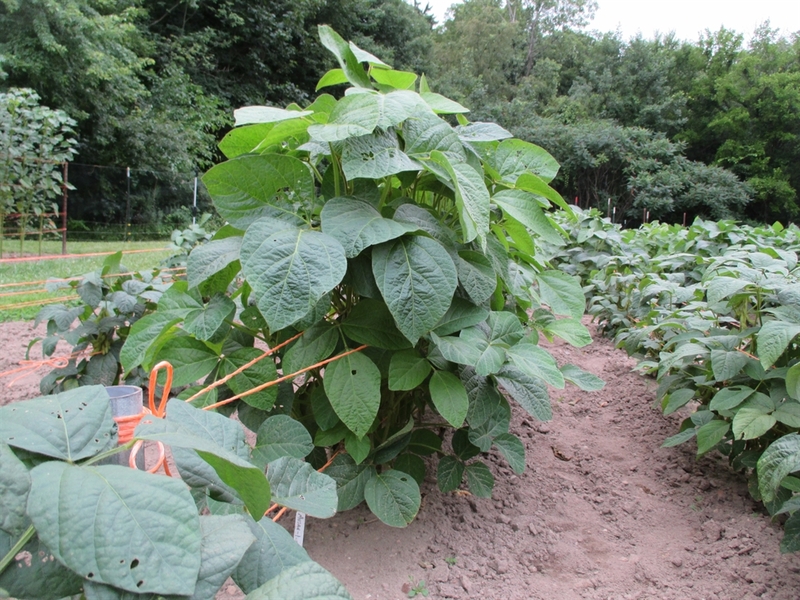 These were the tallest of all the varieties (4′) and had no lodging issues during excessively heavy rains. Yield were high with good bean quality. I am wondering how much would it be for me to order a pound of these beans? Thank you very much for your time. Sorry Christian, but I do not sell any variety by the pound. Hi, I’m in between this variety and your early brown soybean (new for 2019). I’m looking for a variety that will produce biomass on the scale of favas. Also I would like to use it for making miso and soy sauce. Which variety would you recommend? I can not say specifically if the Musan-1 would be a good choice for fermenting. My guess would be that it is, but that is only a guess. Out of the two, the Musan-1 produces the most biomass. Unfortunately I have little information on most of the soybeans due to lack of documentation from sources.